The team at Unified Lawyers has the experience and skill to handle your legal matter. In and out of court, we get fast results for our clients! 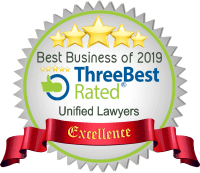 Whether you have a complex legal matter that needs immediate attention or you are seeking feedback and advice on something smaller the team at Unified Lawyers has the experience and skill to handle your legal matter. In and out of court, we get fast results for our clients. We pride ourselves on concise communication as well as being a valuable resource for clients to access. Our advice is straightforward, clear, accurate and easy to understand. We will deal with your legal matter in a speedy manner that meets your timeframes and gets you the resolution you are seeking. Long overdue review - if I could give more than 5 stars I would. Marianela has been A+++ in assisting me with my first home purchase. Please do not hesitate to engage them! Our Sydney conveyancing team is dedicated to providing simple advice and continuous assistance to ensure that the purchase or sale of your property runs smoothly and stress free from start to finish. Our knowledgeable Sydney family law specialist and family solicitors provide legal advice to our clients in various aspects of family law. Our Sydney lawyers act on behalf of insurers, brokers and underwriting agents throughout Australia, advising on most areas of insurance as well as bringing and defending legal proceedings. Our clients are able to relax knowing that our highly experienced and trained Debt Recovery team is hard at work ensuring all outstanding debts are closed and a fast result is achieved. All our agent solicitors have appeared in most Courts and Tribunals throughout Sydney and posses the required knowledge and experience to achieve your desired outcomes. Our building and construction lawyers have profound understanding, knowledge and experience in all stages of the building and construction process. Our Sydney lawyers are committed to identifying your needs, addressing your concerns and providing you with practical advice on all your available options. Our Sydney immigration lawyers specialise in immigration law and are able to assist your VISA, the Department of Immigration or the Refugee Review Tribunal.